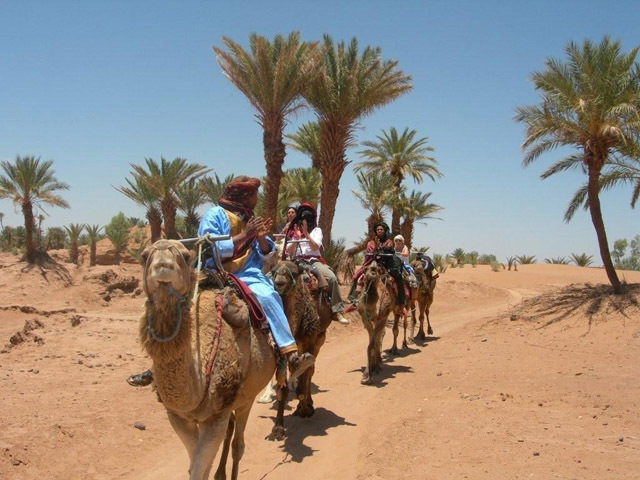 We can walk together from a few hours to several days or let us being transported by our dromedaries, enjoying a simple discovery tour, or a much richer trek full of surprises across mountains, canyons, palm trees, or hamada's to finally reach Sahara desert. 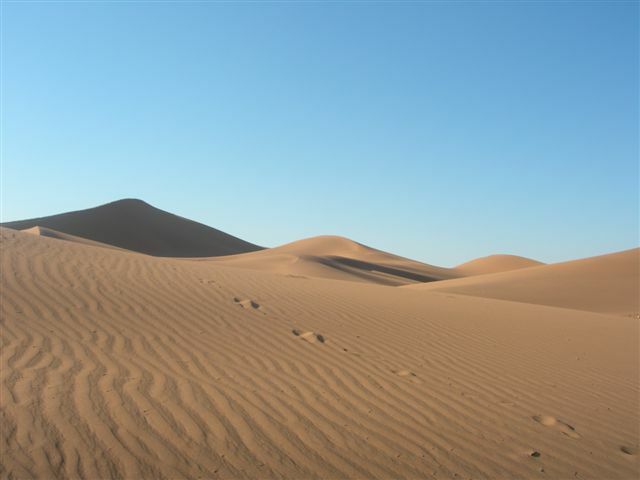 and the desert as a gift to find his soul." 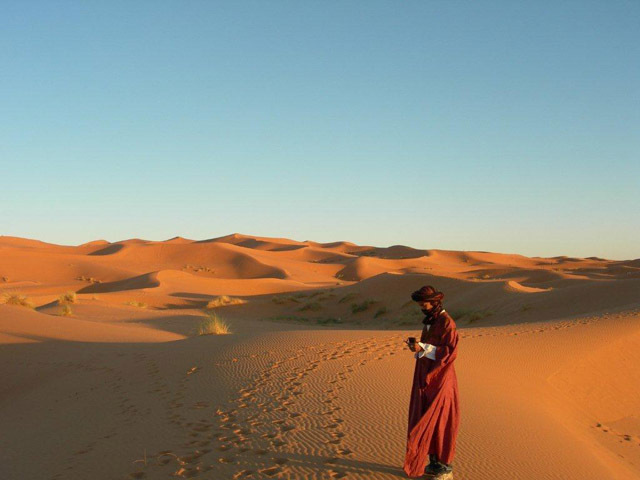 - Cruising the desert with dromedaries, stopping for tea, meals and necessary breaks, in the middle of sand dunes and sleep either bellow the stars or under the tents, depanding upon your wish and the seasons. 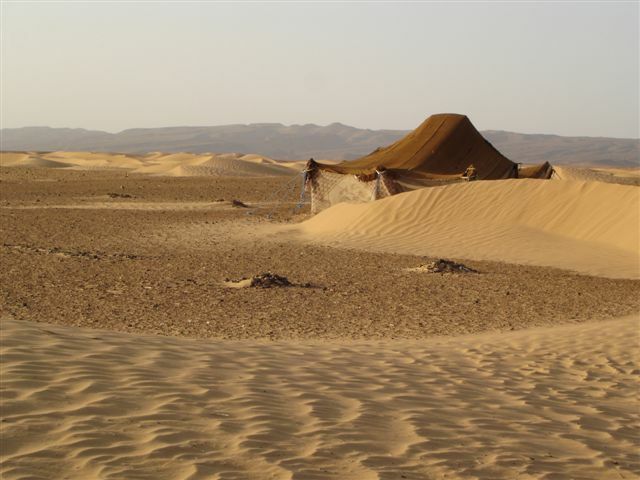 - Join using dromedaries, or 4WD, the chosen camp, made of several traditional Berber's tents, in order to eat, settle down and enjoy one or several nights. This is a great opportunity to experience the lack of a part of modern life and discover for some time another way of living, closer to Mother Nature and the authenticity of a simple life. A "must see": the sun dawn. This magic instant in this unique place makes you really feel and enjoy the silence and the wide landscape of the desert. In the evening, you will share an excellent dinner next to a fire place, then followed by darboukas drums, lyrics and traditional dances. There are lots of unforgettable moments and watching the stars in this pure sky, so unique to the desert, brings you an exceptional feeling of beauty and peace. 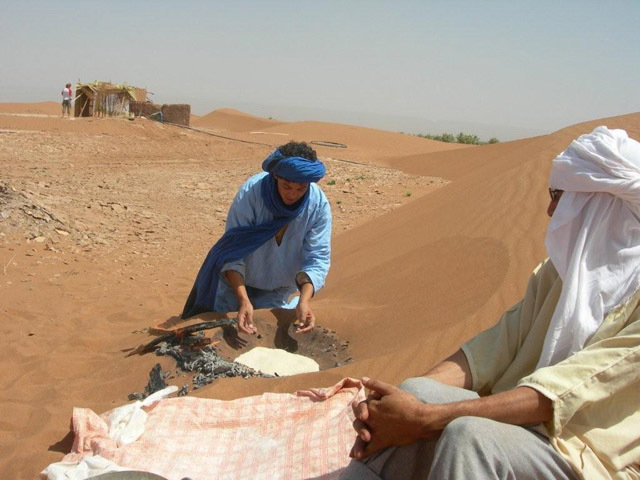 Lunch in a local family in Tamegroute, visit of the village, departure to the desert trough typical villages with earthen houses, palm groves, hamada (stone desert)and sand areas. Sunset in the dunes. Evening around the fire, traditional musical atmosphere. 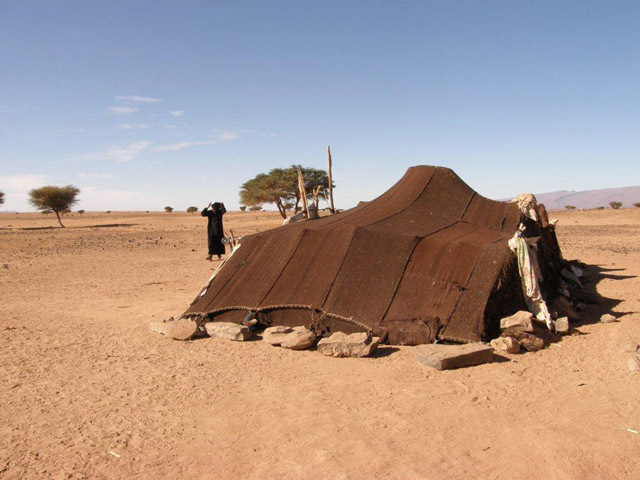 Overnight in typical nomadic tents. 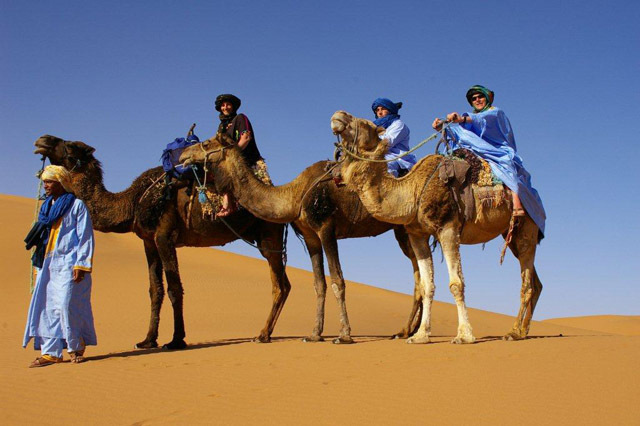 In the morning dromedary ride in the dunes. Return to Tamegroute before noon. .
1st. 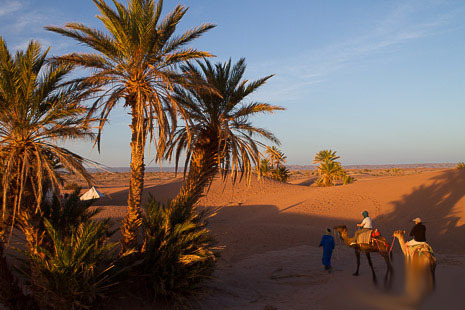 day : start in the morning, travel through traditional villages with earthen houses and palm groves, at noon lunch in the dunes of Erg Le Juif. Sacred Oasis. 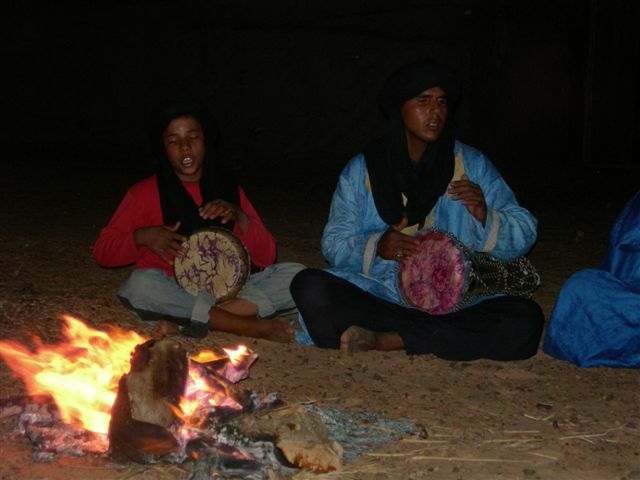 Evening around the fire with the rhythms of darboukas ( local drums) in the dunes of Chegaga. Overnight in typical nomadic tents. 2nd. day :dromadary ride in the dunes, visit to the nomad's. Back to Tamegroute in the end of the afternoon and visit of the village. 1st day : in the morning departure through the Draa valley, rich in traditional villages and palm groves, Agdz, visit of the Tamnougalt Kasbah. Zagora. Lunch in a local family's home in Tamegroute. Tagounite. Sacred Oasis. 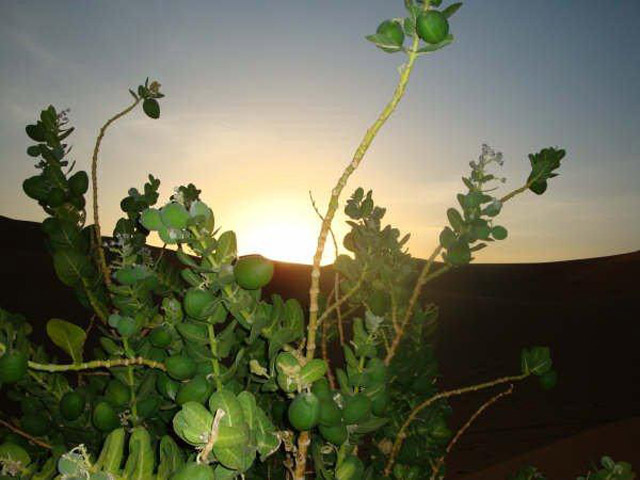 Sunset in the dunes of Chegaga, "the sand sea”. Atmosphere around the fire with the rhythms of the darboukas ( local drums). 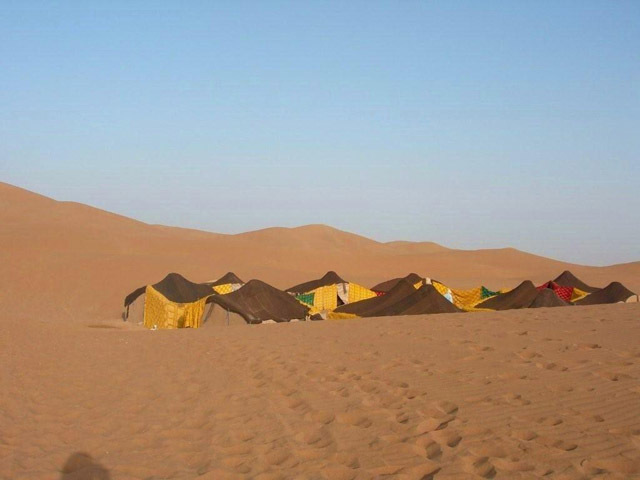 Overnight in typical nomadic tents. 2nd. day :dromadary ride in the dunes. Visit to the nomad's. Return to Ouarzazate in the end of the afternoon. 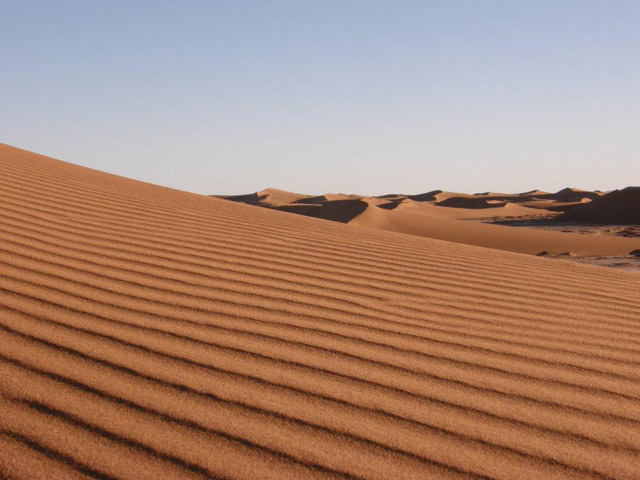 N°4 -DESERTS ERG DE JUIF and CHEGAGA in 4WD Jeep -Departure from Ouarzazate (3 days -2 nights ). 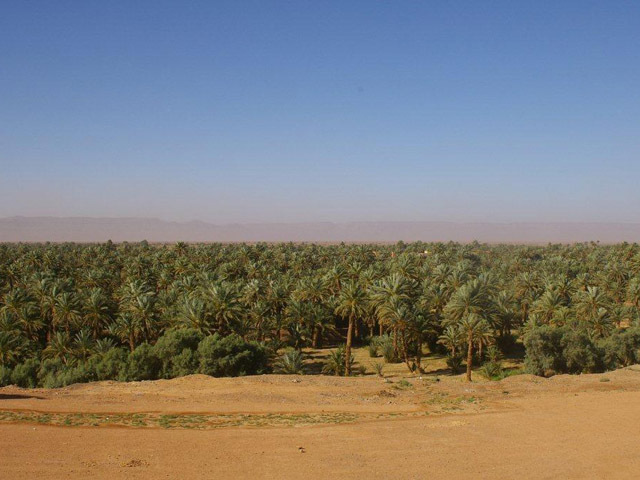 1st day : in the morning departure through the Draa valley rich in traditional villages and palm groves, Agdz, Zagora. Lunch in a local family's home, visit of the village. 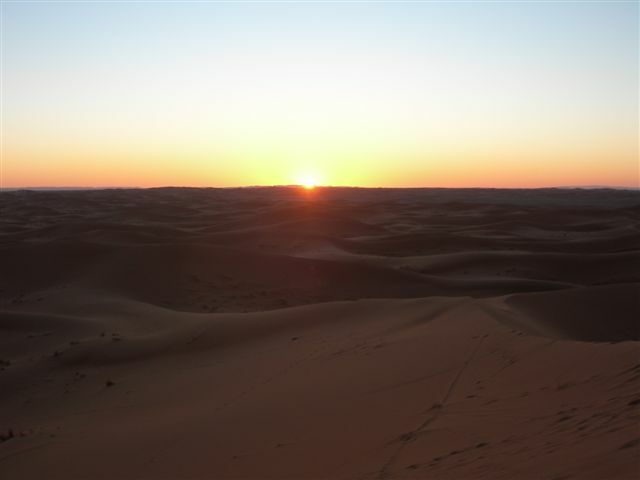 Arrival at Erg de Juif, sunset in the dunes. Evening around the fire. 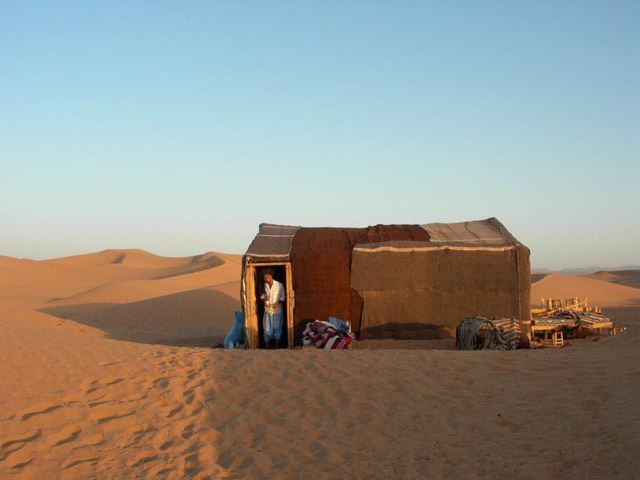 Overnight in typical nomadic tents. 2nd day : dromadary ride, departure in 4WD jeep, lunch at the Sacred Oasis. 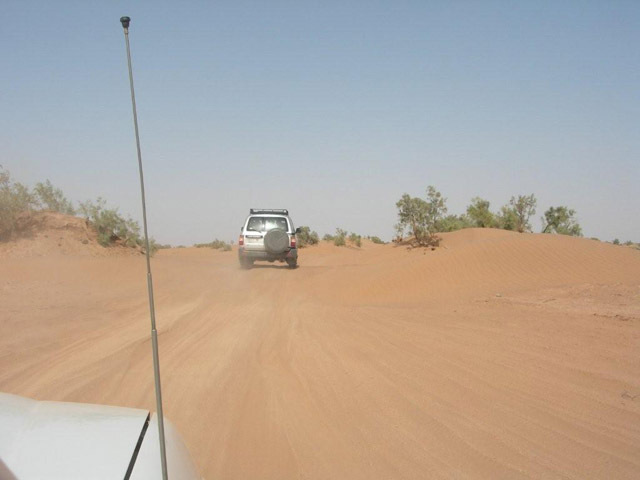 Arrival at the dunes of Chegaga in the afternoon. Bread cooked in the sand. Evening in the rhythm of darboukas (local drums). 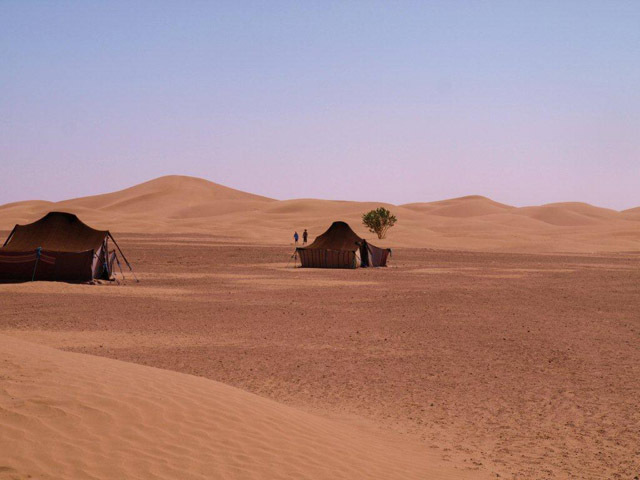 Overnight in typical nomadic tents. 3rd day : return to Ouarzazate passing by Iriqui, a midday break in Foum Zguid. Visit of Tazenakht, a carpet village. Arrival in Ouarzazate in the end of the afternoon. 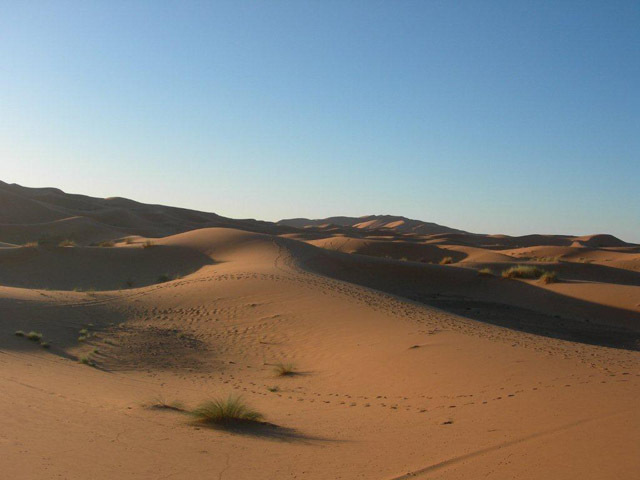 N°5 - DESERTS ERG DE JUIF and CHEGAGA in 4WD Jeep - Departure from Marrakech (4 days - 3 nights, one of those in the desert). 1st. 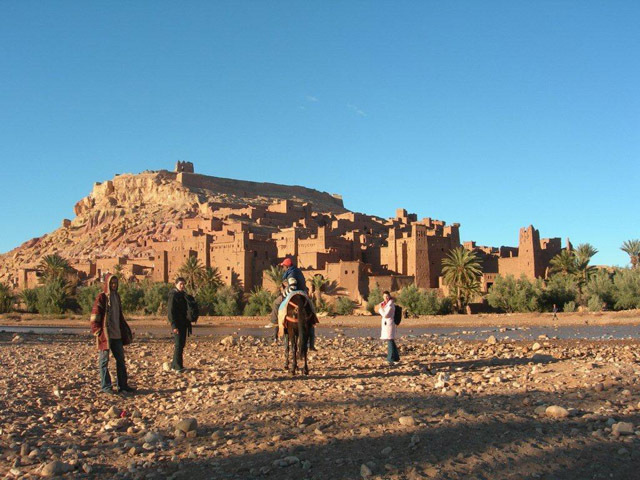 day : Departure at 8 AM , the Pass of Tichka, midday at Ouarzazate and then the valley of the Draa, Agdz, visit of the Kasbah of Tamnougalt, dinner and overnight in the hotel in Tamnougalt. 2nd. 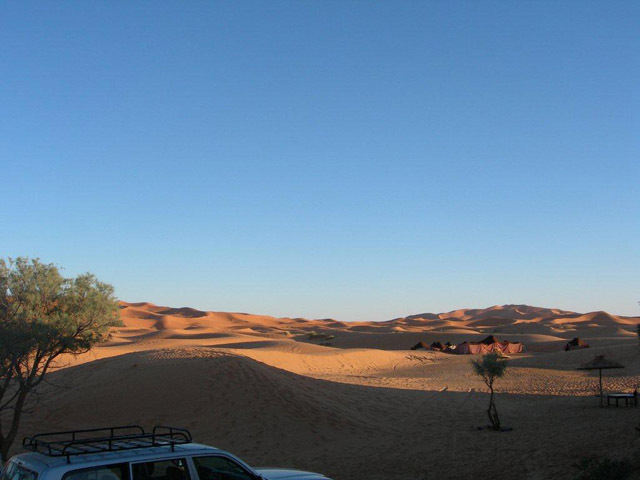 day : svalley of Draa, Zagora, lunch in a local family's place in Tamegroute , visit of the village and departure to the desert, dunes of Erg de Juif, the Sacred Oasis. 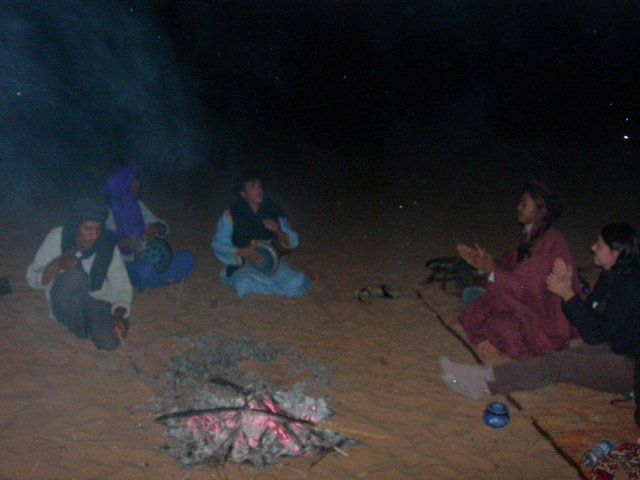 Evening at the dunes of Chegaga around a fire in the rhythm of darboukas (local drums). Night in typical nomadic tents. 3rd day : dromadary ride in the dunes, visit to the nomad's and return. Dinner and night in a hotel in Ouarzazate. 4th day : return to Marrakech, visit and lunch in Ait Ben Haddou. Arrival in Marrakech in the end of the afternoon. 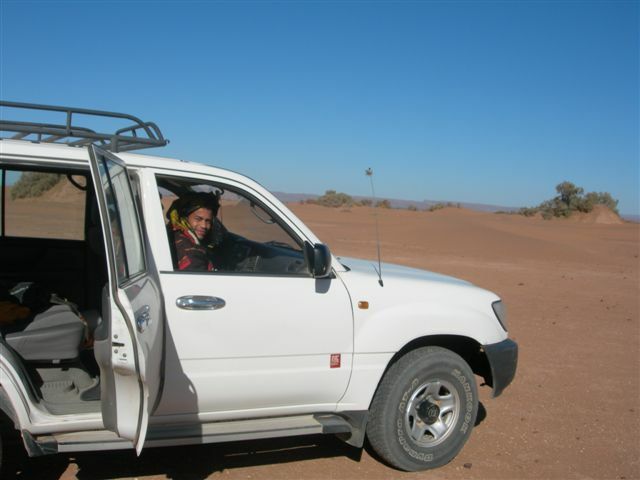 N°6 - TOUR in 4WD Jeep : Draa valley, south, desert...Departure from Marrakech (5 days - 4 nights). 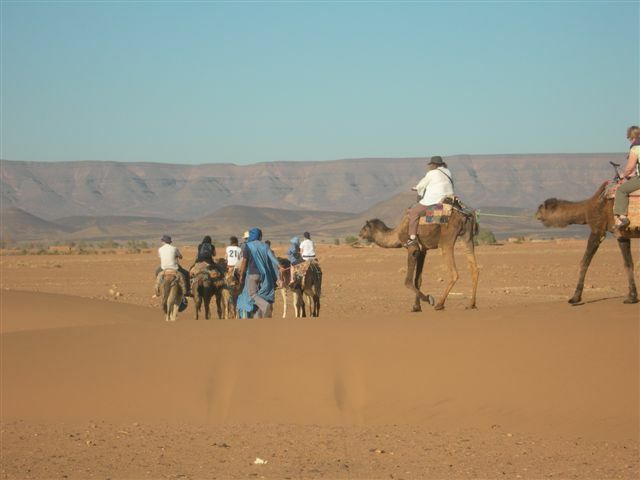 1 st. day : Departure at 8 a.m., the Pass of Tichka, Kasbah Talouet. Visit of Ait Ben Haddou. Tifoultout. Night in the hotel in Ouarzazate. 2 nd. 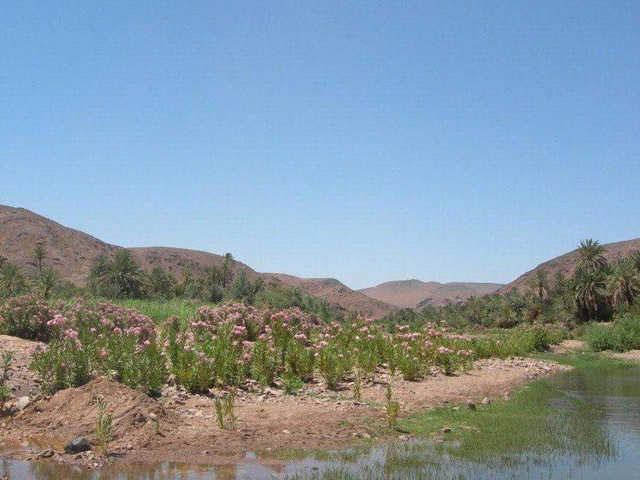 day :Draa valley, Agdz. Lunch in the Tamnougalt Kasbah. Zagora. Dinner and night in a local family's home in Tamegroute, or in a hotel, you have the choice. 3 rd day : visit of Tamegroute and departure to the desert. Lunch in the dunes of Erg de Juif. The Sacred Oasis. Arrival Chegaga, sunset in the dunes. Evening around a fire in the rhythm of darboukas (local drums). Night in typical nomadic tents. 4 th. 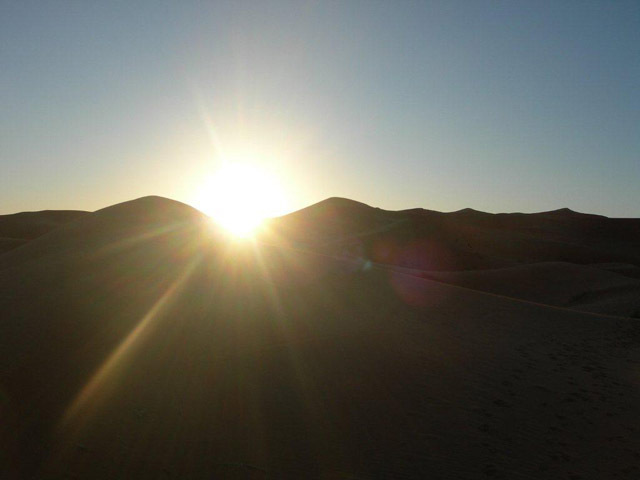 day : sunrise and dromadary ride in the dunes. Visit to the nomad's. Iriqui. Night in the hotel in Foum Zguid. 5 th day : return to Marrakech. Break in Tazenakht, famous for hand-made carpets. Arrival in Marrakech in the end of the afternoon. * for prices, contact us. 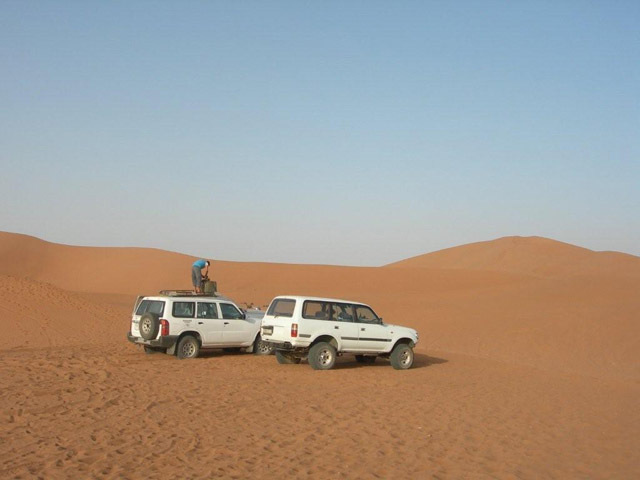 N°7-TOUR in 4WD Jeep -Valleys, Gorges, Desert, Oasis- Departure from Marrakech (7 days - 6 nights). 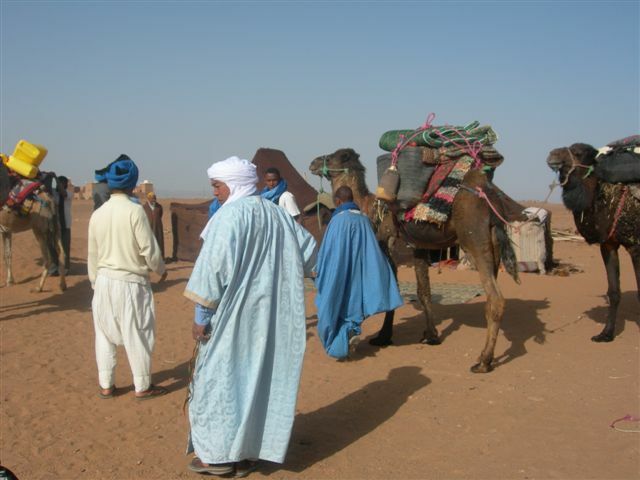 1 st. day : departure at 8 a.m., the Pass of Tichka, Kasbah Talouet. Visit of Ait Ben Haddou. Night in the hotel in Ouarzazate. 2 nd. 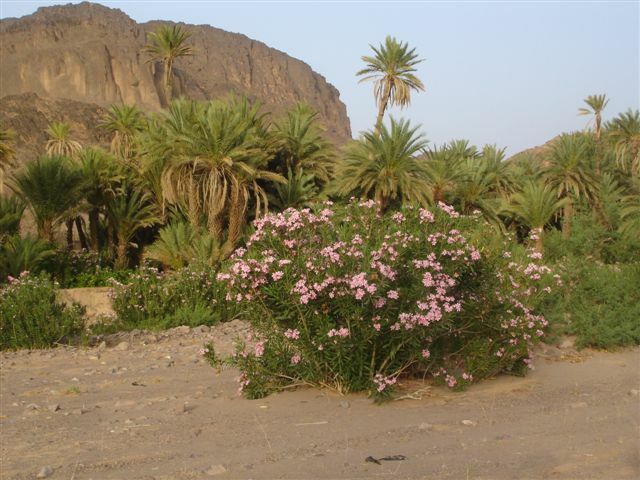 day : Roses valley, Dades valley,. Visit of Dades Gorge. Night in the hotel in Dades. 3 rd day : Tinherir , Todhra Gorge and visit. Night in the hotel in Todhra. 4 th. 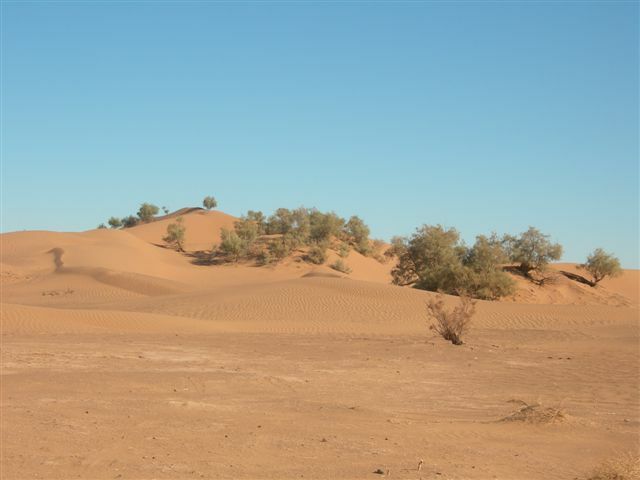 day : Erfoud, Rissani and Merzuga desert. Dromadary ride in the dunes as far as tents camp. Evening under starry sky. Traditional music around the fire. Night in typical nomadic tents (or in the hotel near the dunes). 5 th day : in the morning return to the hotel by dromedary. 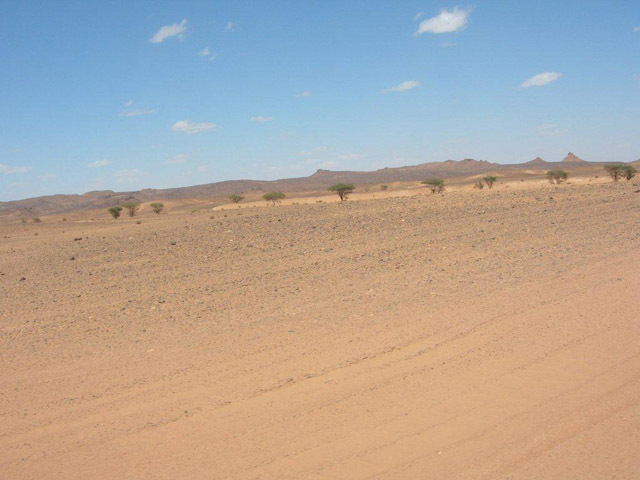 Departure for Zagora. Tamegroute visit. Dinner and night in a local family's home in Tamegroute, or in the hotel, you have the choice. 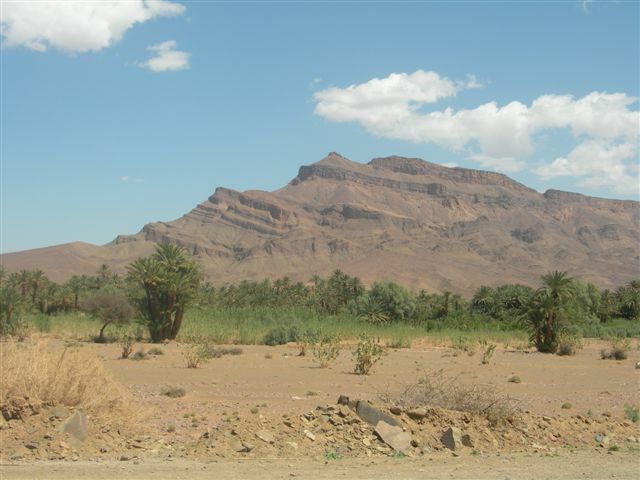 6th day : return to Ouarzazate through the Draa valley. Lunch in the Tamnougalt Kasbah. Afternoon at Fint Oasis. Visit. Night in the hotel. 7 th day : return to Marrakech before lunch. For your nights in Marrakesh : riad typical, well placed, welcoming...contact us! NB. 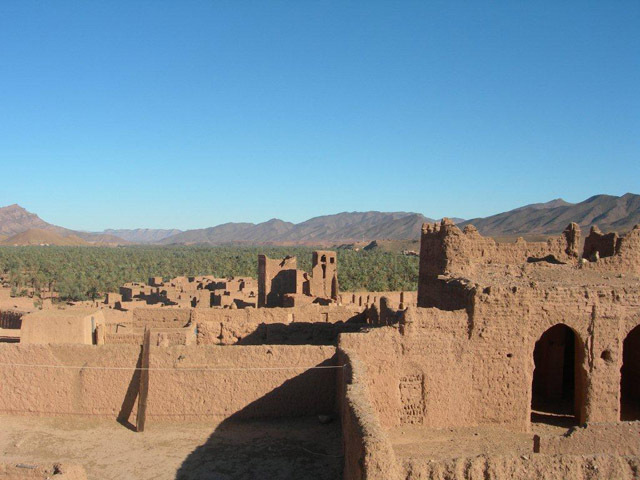 We propose a lot of circuits in the South, the imperial cities tour, and all Morocco, contact us ! We are also proposing unforgettable treks riding donkey's back, across palm trees, discovering tiny isolated villages and their habitants. 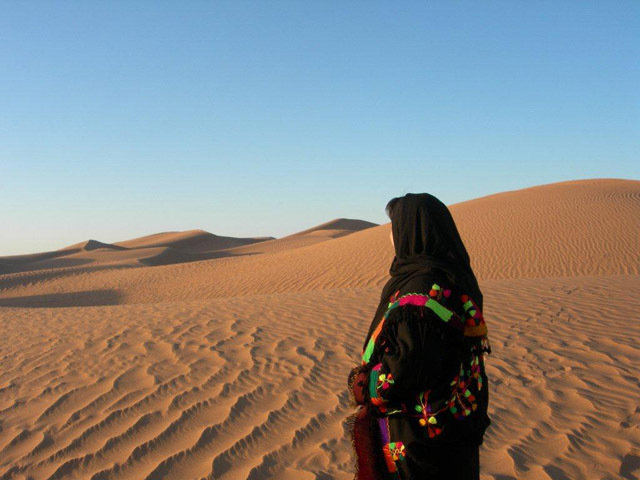 For the most passionated, Sahara desert approach is also possible; a few nomad's families are still doing it. Tours of half a day, full day or several days, with meals and nights in a tent or under the stars. 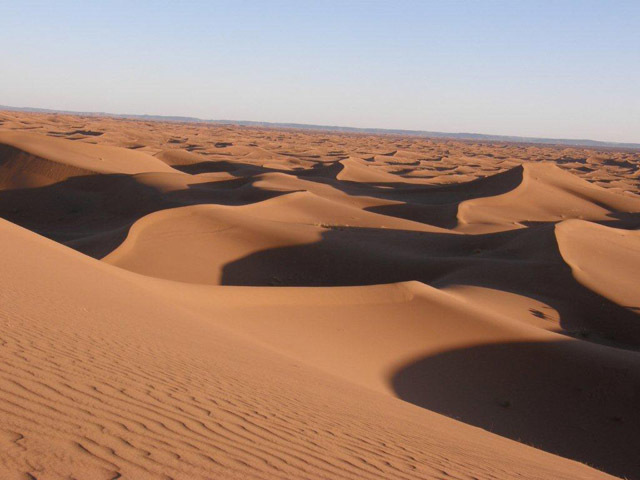 FINT OASIS (1 day) 15 km from Ouarzazate, including 10 km of track, visit of the magnificent and very quiet oasis and its Berber village. Lunch on site. Possibility to ride donkey's back on the surrounding mountains. TINHERIR OASIS and TODRA CANYON (2 days et 1 night) Located at about 160 km from Ouarzazate, visit of one of the most beautifull palm trees from Morocco: Tinherir (also named Tinghir) and Todra canyon, a few kilometres away from the city. More than 300 meters depht and much appreciated by rock climbers. Night and dinner in a typical hotel-restaurant. 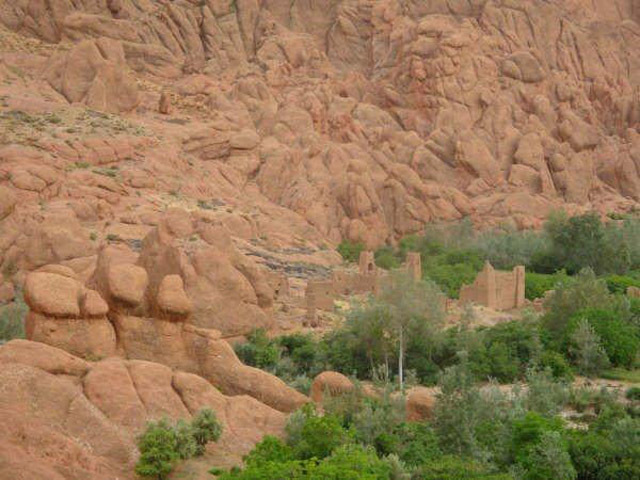 DRAA VALLEY (2 days et 1 night) is 200 km wide (from Ouarzazate to M’hamid), and is also named desert's entrance door. Drâa is Morocco longest dried river (Oued), it crosses unique landscapes and Berber villages to finally stop on Sahara sand dunes. 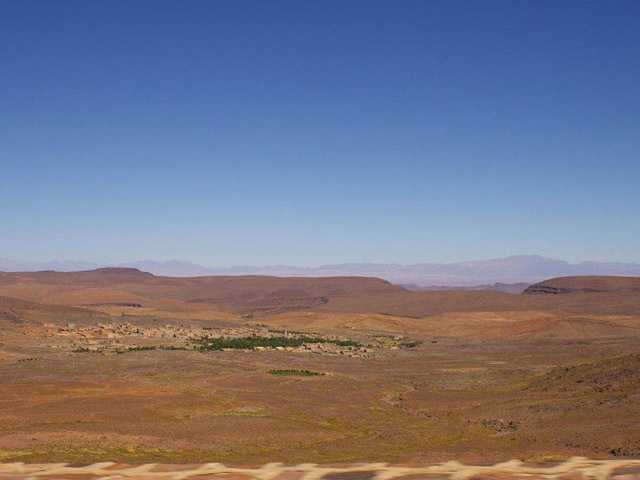 Night in M’hammid, lunch and visits in Agdz, Tamegroute, Zagora. 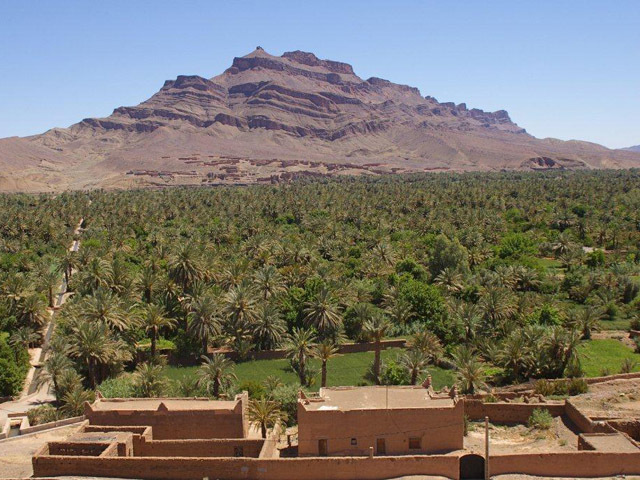 DADES VALLEY (2 days and 1 night) or 'thousand kasba valley', is located among superb landscapes, oasis, weird shape montains and typical villages, from Ouarzazate to Tinherir, via ROSES VALLEY, which is advised to be seen around May. The deep DADES CANYON offers an astonishing vision. Night and dinner on site, in Berber hotel-restaurants. 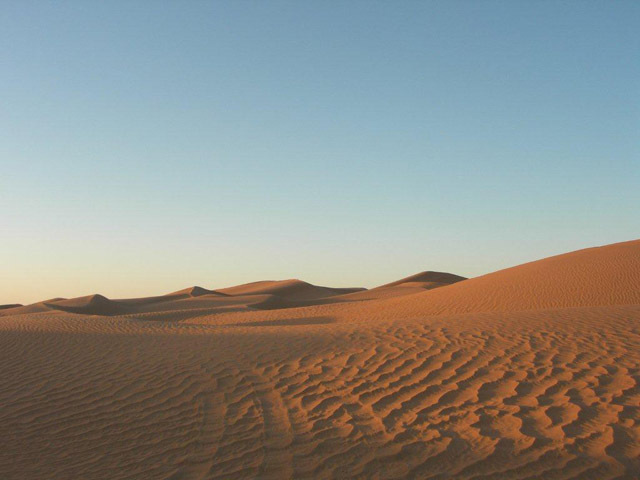 MERZOUGA SAND DUNES (3 days et 2 nights), close to Rissani and 50 km from Erfoud are a complete scenery. 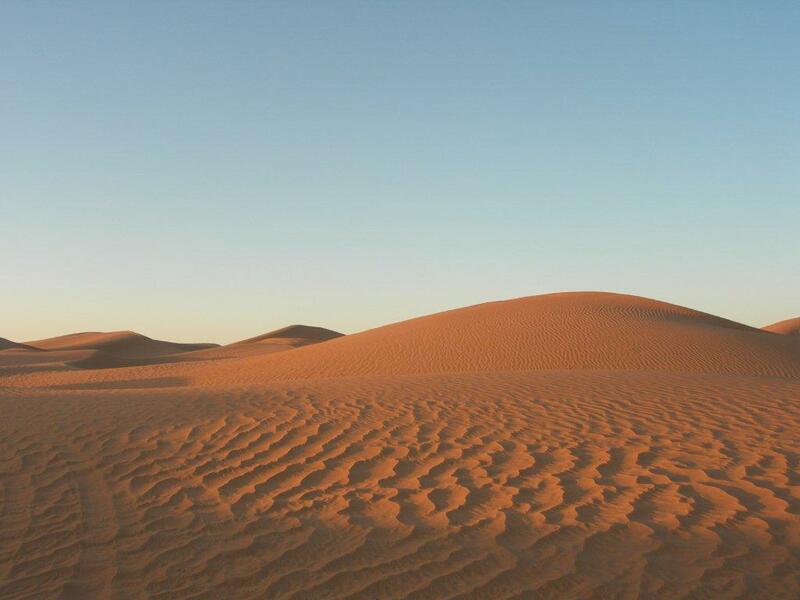 In this golden dunes desert, the show is even more marvelous at sunset and dawn. Possibility to ride dromedaries. 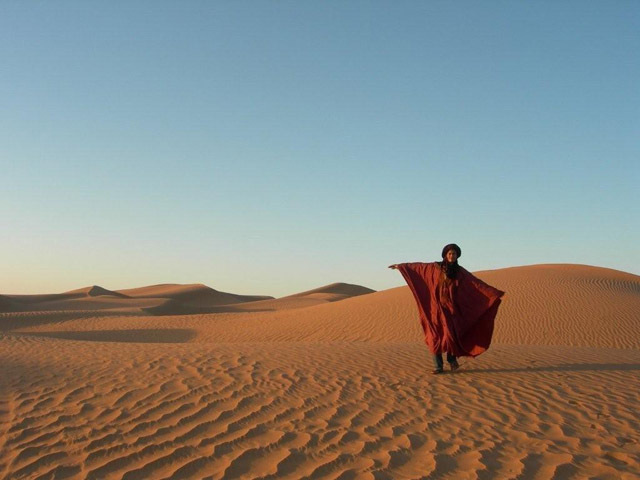 Nights by the dunes either in hotels, either in Berber's tents. Visit of the famous Rissani souk.